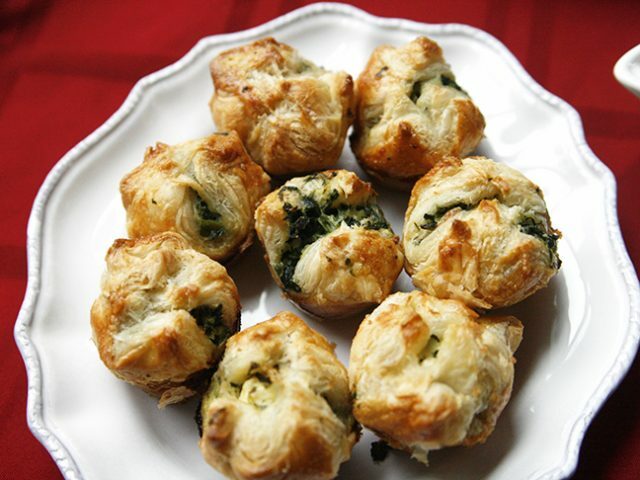 My spinach and cheese puffs are the perfect holiday appetizer. 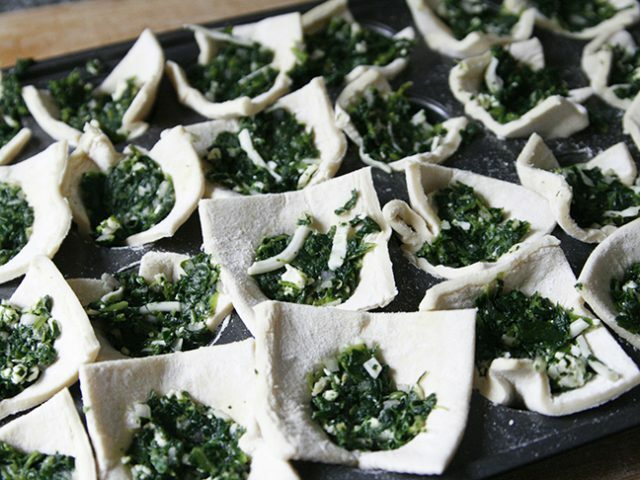 Flaky, crunchy pastry surrounds a mouthwatering cheese and spinach filling. You can even make the puffs ahead of the holidays to save time on the day of your party (they freeze beautifully). When you’re ready to serve the puffs, you defrost them, glaze with an egg wash, and bake. And here’s the thing: Even children love this homemade holiday bite. My daughter, who insists that she detests spinach, says they’re “great.” They’re the perfect crowd pleaser! 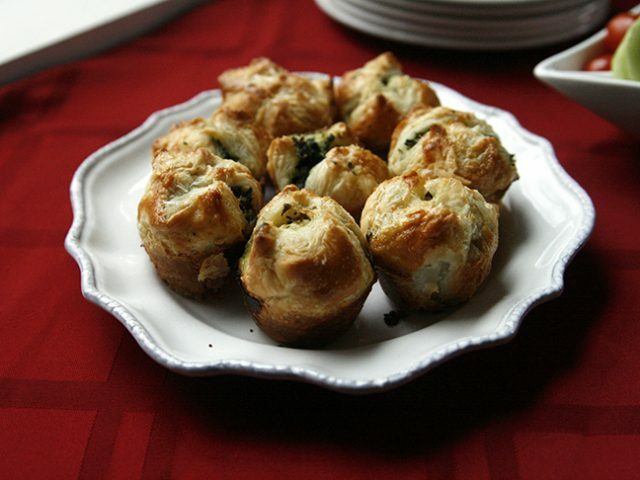 Looking for a ridiculously easy make-ahead appetizer for the holidays? Follow my recipe below and watch how quickly these puffs disappear after you serve them. Step 1: Take your thawed spinach and press to remove any additional excess liquid. Add the spinach to a mixing bowl. Step 2: To the same bowl, add the feta, shallots, olive oil and garlic. Mix well. Season with salt and pepper and mix again. 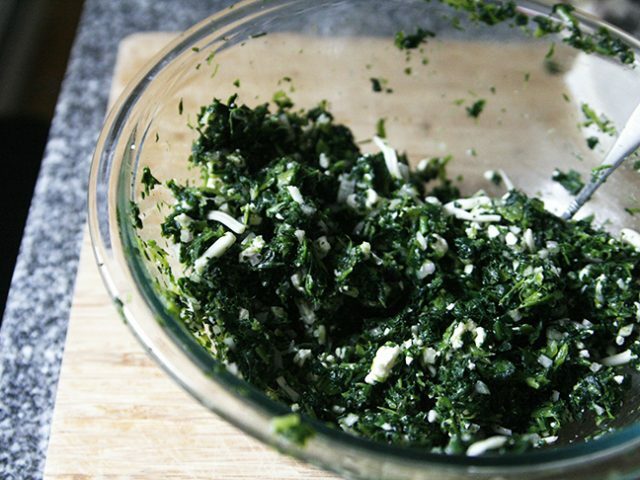 Step 3: Beat one egg thoroughly and then add to the spinach mixture. Stir well to combine. Step 4: On a large cutting board, unroll or unfold the puff pastry dough. Cut into 12 squares, and press each square into the cavity of a mini muffin tin (you will need space for 36 puffs -- so probably two mini muffin tins). Repeat with the second and third sheet of puff pastry dough. Step 6: STOP! If you want to save these for cooking later, cover the pan tightly with plastic wrap and freeze. They can be kept in the pan until ready to use or transferred (once frozen) to a resealable bag. When you are ready to cook, let them sit at room temperature for 45 minutes to defrost some before cooking. Step 7: To cook: Preheat the oven to 400 degrees Fahrenheit. Beat the remaining egg until smooth and then brush the tops of the puffs with it. Step 8: Bake for 20-25 minutes, until golden. Step 9: Remove from the oven, and run a knife around the edge of each puff. Turn out onto a cooling rack, and let cool for at least 10 minutes before serving.